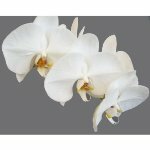 FiftyFlowers carries Phalaenopsis Orchids! 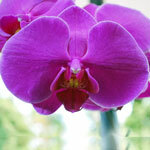 Also known as the Moth Orchid, is greenhouse grown creating truly spectacular and top quality blooms. 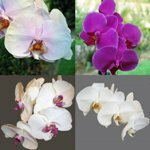 Phalaenopsis orchids are considered epitomes of rare beauty because of their symmetry, and the delicate appearance of their petals. 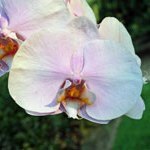 Moth orchids are available year round and will have an average of 5 to 8 blooms per stem. These can be arranged in a tall narrow vase and stand out all on their own, or you can combine them with Calla Lilies and Larkspur for a lush, height oriented bouquet.